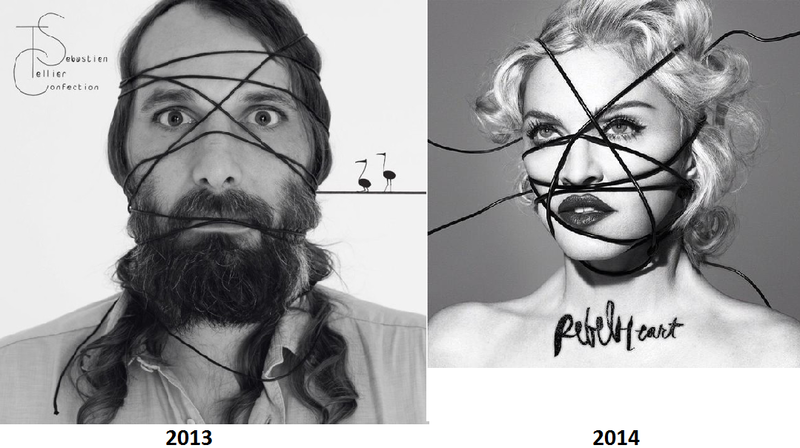 The new Madonna's album means new era of plagiarisms and rip offs. It began really fast, "quicker than ray of light". People compare her new album "art"work with the one by The Scorpions , The Cymblas , video by Take That, or even photo of Frida Kahlo( which is fan made, not real photo). I think that the most similar one is artwork by Sebastien Tellier. Both are CD covers, are black and white photos without anything in background, faces are not screaming and there isn't so much wire like in The Cymbals one.